For a tablet that seems to be selling quite well, we sure haven’t seen much of an effort from either Google or ASUS to produce some accessories to go along with the Nexus 7. Every now and then we hear about covers for it, but who cares about that? 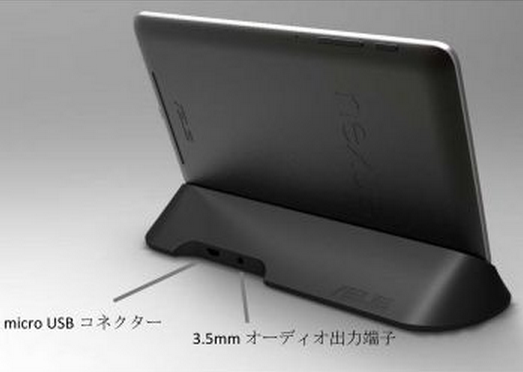 Finally today, we have some news on an official docking station from ASUS. According to their site, the dock which works with the tablet’s pogo pins, will be out in early December. From what we see in the translated listing, it is priced at 3,480 Yen, which according to Google’s conversions is about $40. If it does get released for that price, we will quickly award it for being the most reasonably priced accessory ever compared to what Samsung likes to produce. We’ll keep you posted on when it’s available.